DUE TO NBN PROBLEMS WE CURRENTLY HAVE ONLY ONE INCOMING TELEPHONE LINE. IF THE LINE IS IN USE WHEN YOU CALL YOU WILL RECEIVE A MESSAGE THE NUMBER IS DISCONNECTED. THIS IS INCORRECT. PLEASE TRY AGAIN UNTIL YOU GET THROUGH. SORRY FOR THE INCONVENIENCE, AND THANK YOU FOR YOUR PATIENCE. 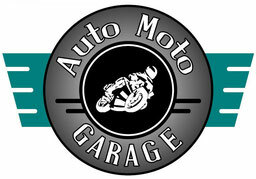 Auto Moto Garage is now bigger and better! As well as being home to CFMoto, Kymco, SWM, YCF, Beta, and Sherco, were are now agents for the range of Powerup Lawncare Products. We stock BigDog and Stiga mowers, and Oleo-Mac and Bushranger handheld power products. We also stock a range of used motorcycles, ATVs and UTVs, accessories, spare parts, and provide full workshop facilities for both motorcycles and power products.